The final article in this series is published today in the Scottish Catholic Observer. What does the resurrection really mean for us? No, really mean? Get your copy this weekend or come back here next week for the full text. A paperback edition of my last series of articles is now available in paperback from Amazon. Just in time for Holy Week. The fourteenth station on the Way of The Cross marks the end of the journey in the traditional ‘Stations’. 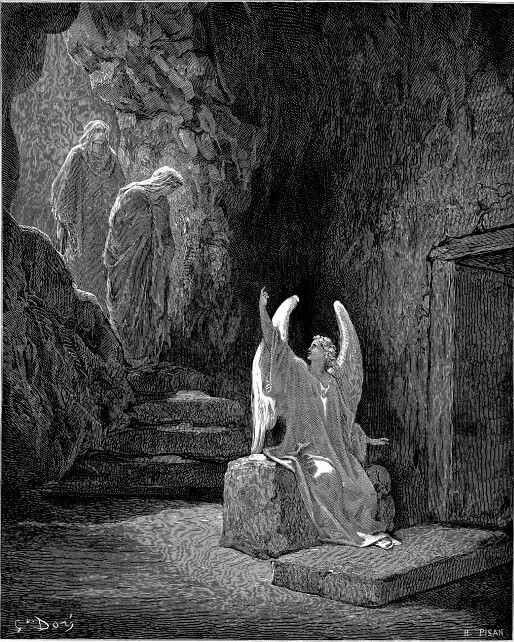 It has become common nowadays to have a fifteenth station, The Resurrection. That’s where we will finish our journey next month. The fourteenth station is when Jesus is laid in the tomb. There is nothing surprising about that. Being laid in a tomb or grave marks the end of human life, something we all have before us. 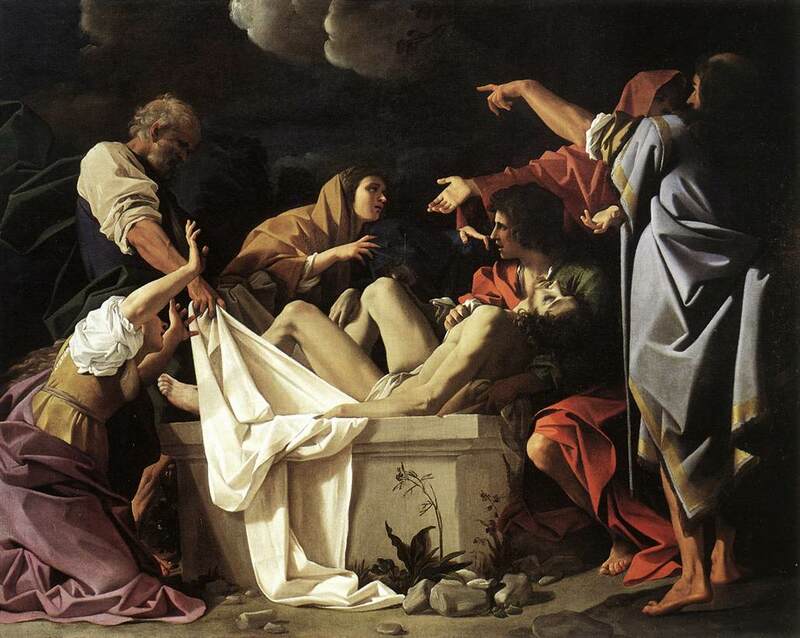 It is the manner in which Jesus is laid in the tomb that raises questions in my mind. As we saw last month, the fact that Jesus’ body was taken down from the cross rather than being left as a warning to others was unusual. Because of the oncoming Sabbath he was hurriedly placed in the tomb, but the Jewish authorities had a stone rolled in front of the tomb and a guard detachment placed there. I assumed this was done to thwart any attempt of his followers to remove the body and claim that he had been resurrected. However, Jesus’ foretelling of his resurrection was worded as ‘this temple’ and the people assumed he meant the Temple in Jerusalem. This was used against him at his trial. I wondered what the Jewish attitude to resurrection was. After some research I discovered that the Jewish religion was divided on the idea of resurrection. People could believe there would be life after death or not. The Pharisees believed in resurrection but the Sadducees did not. Some believed in some forms of reincarnation. Whatever version they subscribed to, the Jews believed that any resurrection would only be in the time of the Messiah. Perhaps some in authority might have had second thoughts about Jesus and hoped to shut him in the tomb if he did come back to life as Lazarus did. Whatever the truth of this supposition, I believe Jesus focussed minds of the Jewish people on death and what comes after. For us this station is a reminder that we will certainly leave this world. This has been a central part of Christian belief and practice. We are welcomed into the Church at our baptism. The ceremony of baptism has been modified and changed over the centuries. John the Baptist baptised in the river. Early Christians were also baptised by immersion. Early churches had a pool for an immersive baptism. I believe there are still some examples in existence today. The immersion in the water represented death and rising out of the water represented rebirth. We died to our old life and were reborn into a new life with Christ. At baptism we reject Satan and dedicate ourselves to Christ. I was very young at my baptism and remember none of it. Most of us experienced baptism as an infant so we missed the significance. It is as adults that we have to look again at baptism and realise what promises were made on our behalf. We are promised to Christ and the values he taught. We are required to renounce the values of the world and materialism. That’s a difficult thing to do. How do we know what we can accept and what to reject in today’s world? It can be difficult to reject values which are normally accepted in our society. The Church’s attitude to sexual behaviour was scorned in the sixties and seventies. We were stuck in the past and needed to get up to date. The recent scandals where cases of historical sexual abuse have hit the headlines are really a symptom of the lax attitude to sexual behaviour our society accepted. When pop stars and celebrities come to trial you won’t hear any mention of the Church’s teaching but we know it was and is right. We have to live our lives according to Gospel values whether that brings us into conflict with wider society or not. This new life in Christ does not last forever on earth. The time comes when we too will be laid in the tomb as we pass from this life to the next. This station is a reminder of that and the fact that it will happen all too soon. I was recently at a hospital for an MIR scan. The hospital in Clydebank was a beautiful place and the doctors and staff were friendly and welcoming. Pleasant as this was it did not really prepare you for going into the scanner. The fourteenth station reminds us that the end could be sooner than we think. I was once asked what I would do if I was told I only had a short time to live. It is a difficult question to answer. Some people say they would visit places they had never seen. Some would spend all their money. Others, more thoughtfully, would visit friends and relations they had not seen for a long time. I thought about it for a few minutes and decided that if I’m really living a Christian life, using my time for the coming of the Kingdom, then that’s what I should continue to do. If you are doing what God wants you to do then get on with it. On the other hand if you are not doing what you think you should do at the end of your time here then perhaps it’s time to start. I suppose we should live every day as if it might be our last. In our fourteen stations we have seen that Jesus was welcomed by the crowds into Jerusalem and before the week was out he was executed. It made me thing about what I do with my time. If I die tomorrow will I have regrets, things I’ve left undone or will I have the satisfaction of having tried to live my life as Christ expected? Now this is traditionally the last station on the Way of the cross, but there are modern variations which regard the fourteenth station as unfinished business. There are churches where there is a fifteenth station. The Way only finished at fourteen for those who had missed the message. It is not the end of the road. We are now all on our Lenten road, striving for spiritual growth by our sacrifices and prayer. I’m back to giving up drink because I found it impossible to give up coffee. I hope you are all finding something uplifting in your Lenten works and feel the benefit at Easter. The last station will be in the Easter edition of the paper, time to contemplate what we have achieved on our Lenten Way of The Cross. I’ll start with confession. I’m not a fan of Martin Clunes. Actually I don’t like anything he has been in. I disliked Men Behaving Badly. I can’t stand Doc Martin. I was keen to see Arthur and George. I had read the book and thought the programme would be good. I was not so sure when I realised that Martin Cline’s was the leading character. However my opinion changed as soon as Arthur spoke. He was Doyle. Visually this was really good. The cast is first class. So what’s wrong? The story has been sabotaged! Who is the criminal mastermind behind this assault? It’s the sound mixer. The music and other sounds drown out the speech. Shades of Jamaica Inn! In this story, if you can’t hear the dialogue you completely lose the plot. What a waste! I hope I’m not the only one to complain about this. I really hope somebody sorts this out before the next programme. Come on STV!